Hi, here's a short report from the Game Access conference 2018. First, thanks to our friends who helped us with the showcase in different ways, you know who you are! 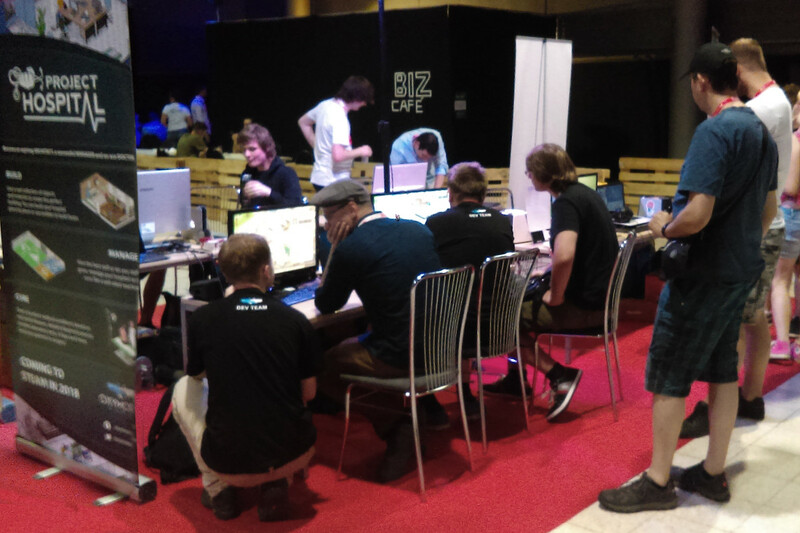 Second, thanks to everybody who stopped by to try the game out during the two conference days! We gathered quite a bit of feedback and found some bugs that we were furiously fixing last week. 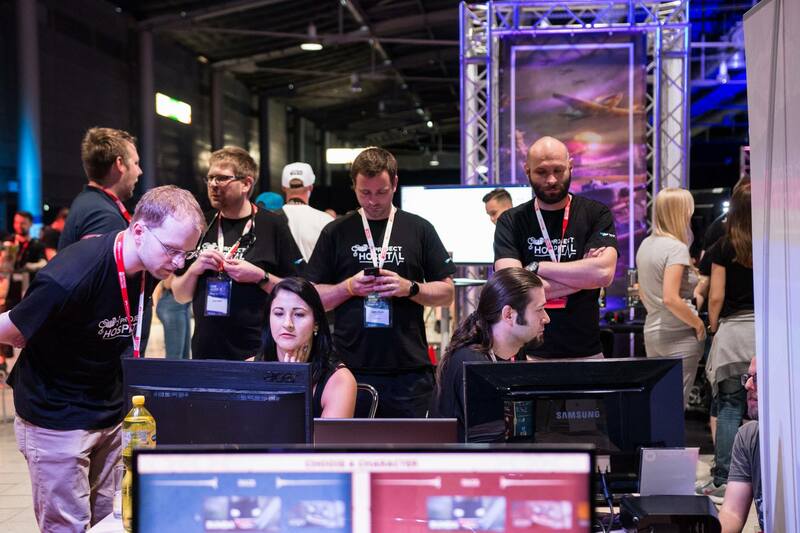 We've seen a lot of first experiences with the game, which is really priceless when it comes to testing the user interface. 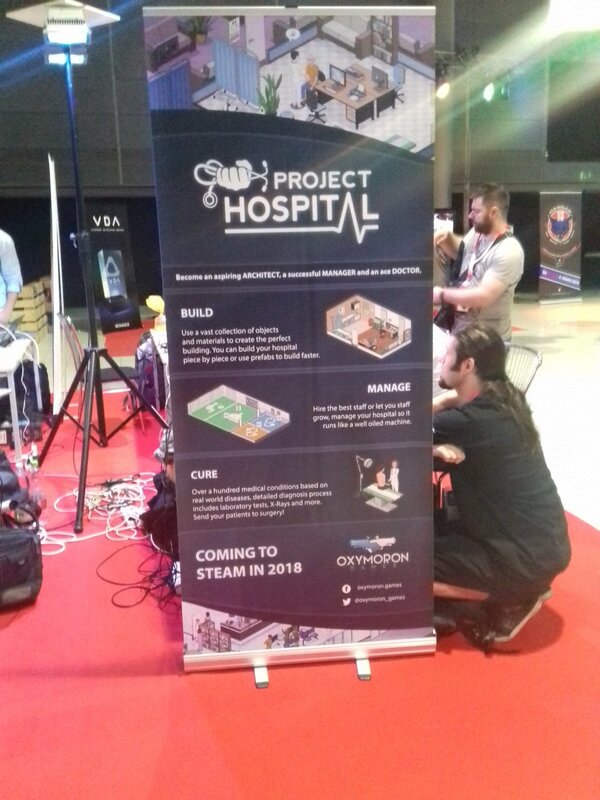 Btw - how glad we were we brought two PCs, the word spread and on the second day we had a lot of visitors who were told by their friends to go check out that hospital game! And to end on an even more positive note - we got nominated for two of the three prices of the indie expo - best gameplay and people's choice. Not bad among more than 50 indie projects. Awesome! Glad to hear the game is getting out there and people are discovering that a great new hospital game is on the way. I'm very glad for you!! Hang in there and I wish you all the best! Nice one on the nominations chaps! Sounds like the people who got to play test the demo you were running were enjoying it enough to spread the word, that's really encouraging to hear! I was right Jan! The game is a hit and will be when it is release! I would have liked to test it, too, but unfortunately I did not have the time to give it a try. But at least nice to hear that it was a great success and you could take a lot of experience. I'm so excited about what awaits us there in the fall! Bought a Latino ST-120 and need info. Fans of Enigma & Game Zone minis REJOICE!